Built from the ground up by American Equity, Elkins Park Square is a mainstay in the community along the affluent suburban corridor of Route 611 (Old York Road). Its location on this high-traffic volume highway intersecting Church Road, Elkins Park Square has remarkable visibility, great signage opportunity and easy access with a dedicated turn in lane and a traffic light at its main entrance. 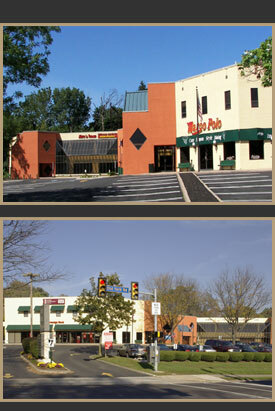 The 60,000 square foot office and retail center is a destination for customers of Sovereign Bank, its popular restaurants Café Marco Polo and Szechuan Mandarin, and its second floor professional tenants which include doctors, dentists, attorneys and long-time tenant Dynamic Rehabilitation Services.